Sometimes I feel like I'm neither one thing nor another. I live in the Mallee but I don't like the desert. I live on a farm but I get hay fever and I'm scared of goats. I like school but my best mates don't. Sandy Douglas knows that life at fifteen is hard, but it's even harder when your mother died a year ago and nothing's gone right since. Sandy's brother Red, on the other hand, is eighteen now and working the farm. He's amped up on rage and always looking for a fight. And then there's their dad Tom. He does his best, but really, he doesn't have a clue. As the dust blows through the arid Mellee district, fifteen year old Sandy Douglas contemplates life beyond the farm. Eighteen year old Josh labours alongside their father, a widowed man providing for his family through adversity. Deliberating his education and applying for scholarships to boarding schools in Adelaide, Sandy is an academic, an intelligent and sensitive young man burdened by the loss of his mother, his humility and sensitivity is nurtured by his father. Tom Douglas is a wonderful character and although the narrative centralises Sandy and Josh, their father is a prominent and affirming parent. Their relationship although occasionally turbulent, is tender and compassionate. A wonderful illustration of a father encouraging his children to become emotionally expressive rather than the patriarchal dominance of masculinity. Since her passing, Josh has become destructive and argumentative, preferring the company of Ryan despite his father's disapproval. Josh is a character of contrasts. Although he appears resilient, he carries the burden of believing his mother's accident is his responsibility, manifesting as destructive behaviour. We also experience the societal expectations placed upon young men, in particular emotional expectations. Josh is argumentative and irate, resenting Sandy's achievements. Underneath his stoic facade, Josh is a young man grieving for his mother alone. 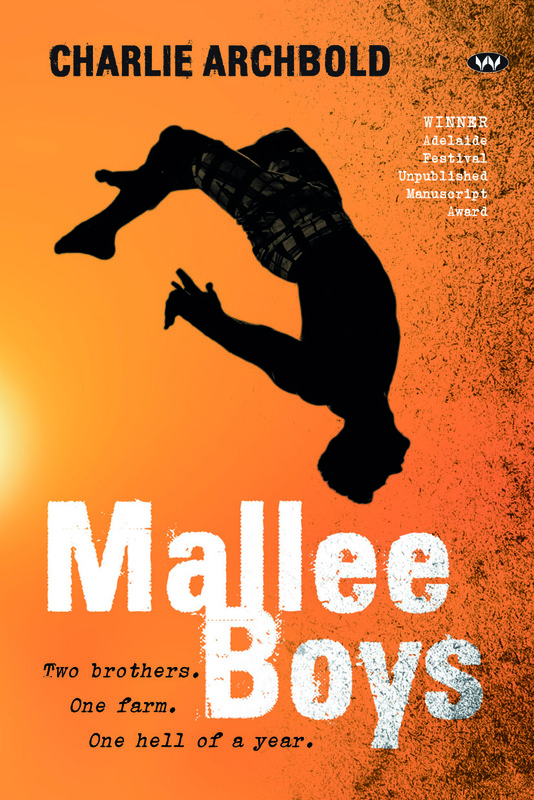 The Australian agricultural community of The Mallee is atmospheric and Charlie Archbold is an exceptional debut author. A dedication to rural communities throughout our sunburnt country. you always find books that have a lot of meaning and heart, even if they aren't necessarily easy to read. I love your reviews and your look into Josh's character <3 always a pleasure when you break down the cause and effects. I was lucky to have been sent this remarkable read from Wakefield Press and cannot stop singing its praises Lily. I love narratives with characters who break the mould and it's such a wonderful coming of age read about growing up in a small town community. You always find the best OzYA books and it always impresses me. I wish I could say I do the same when it comes to UKYA but I am way too easily led by what other bloggers are reading. This one doesn't necessarily sound like the easiest read but it does sound like a good one. Great review. I actually read a fair bit of UKYA as well Becky and it has a very similar feel to Australian young adult. It's confronting in places because it also challenges what has been typical male culture for young Australian males, not being able to share their emotions for the fear of being labelled as weak. It was so beautifully written Becky, really lovely. 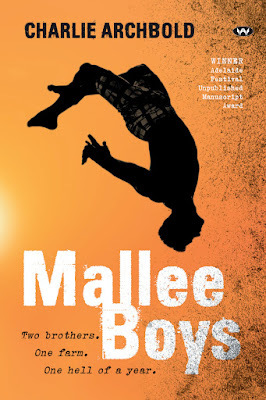 It's one of the best male narrated Australian young adult I've read so far actually, almost impossible to put down. Yes Ailyn! Your home town represent! The Mallee sounds so beautifully picturesque with a wonderful sense of community. I love when parents have a prominent place in a story. Me too Karen. Often parents seems to be absent from the narrative but their father was such a wonderful and supportive presence in their lives. It can't get a little tiring can't it. This was so refreshingly genuine and lovely though. I think you'd really enjoy it. I love what you said at the end of this review -- that it's a dedication to rural communities. I love LOVE THAT! I always navigate towards books set in regional Australia, they have a genuine charm that you an't find anywhere else.